A fine place to ease on your trip to Indore. Hotel Sunrise Inn is a modern accommodation for travelers seeking a comfortable and a peaceful stay. 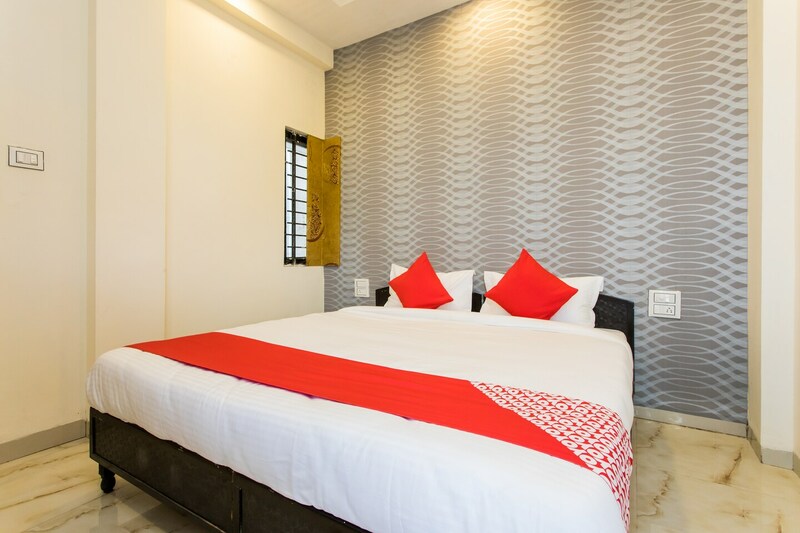 The unique, warm and lovely rooms at the hotel are pleasing and designed to keep the comfort of guests as the top priority. The wall is decked with abstract wall artwork and the sober lighting gives a warm touch to the overall room decor. Guests can avail the facility of free-Wifi to stay connected with the internet. Various famous eateries are near the hotel for your hunger pangs. Khajrana Ganesh Mandir, Rajwada Palace, and Digamber Jain Kaanch Ka Mandir are ket attractions nearby to the hotel for your leisure time.